Souq.com is an online shop in Saudi Arabia. Actually it’s relatively new and not everybody is utilizing their service, maybe there are some doubts if the goods that they will received is in good condition or bad. Well of course not every service in online world is satisfactory there are still some problems that an online customer may face during their actual buying experience. 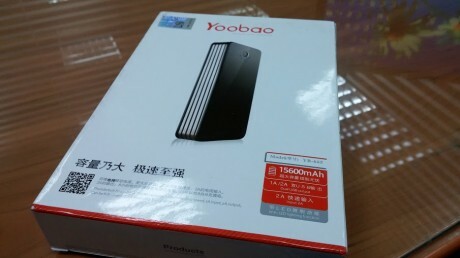 I have my personal experience in buying from souq.com, the power bank (yoobao) as shown above arrived in good condition. But there was a little delayed because there where miscommunication in between souq.com and the seller. The possible problem is that the login email that I used differs from my PayPal email. The moment that I have raised a concern in souq.com website, my noticed has been handled immediately by souq.com customer service. At first I thought that every goods that is being sold at Souq.com is from Souq.com. It was a mistake since there are also sellers in Souq.com it’s like an Ebay in Saudi Arabia. If you want something that really checked by Souq you better opt to order items with “Fulfilled by Souq” mark in their site. According to their advertisement those items fulfilled by Souq.com will be shipped faster than other items without. My officemate have also positive reviews from Souq.com. In fact there are items which they bought with value less than 50 Riyals and still it is being delivered by Aramex. You may also sell at Souq.com, there are some process that you need to pass in order to sell items in Souq.com. It is not really very clear to me if you have to add the cost of shipment in your price or it is covered by souq.com in the percentage that they are getting whenever there is an item sold through their website. Check for the deal of the day. Be sure to check the items when it is delivered to you. You can always ask for return if there is a problem on the items that you bought. Contact their customer care number for any queries. They are very approachable. If you cannot read Arabic, press the English Translation link at the upper left corner. Enroll the same email that you are using in Paypal if you want to use it as a payment tool. Suggestion to Souq.com : Why don’t you open an affiliate marketing so that bloggers like me can earn from your site? Should I buy again from Souq.com? Why not, if they have good deals of the items that I wanna buy.